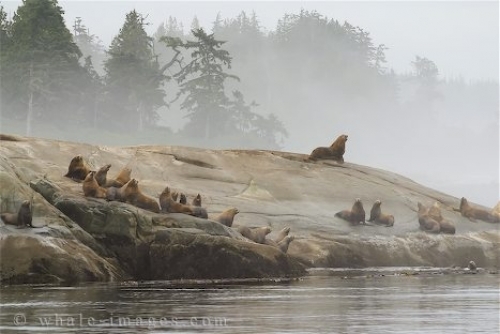 Endangered Mammals - Steller Sea Lions - Eumetopias Jubatus, British Columbia. The steller sea lion is among the endangered mammals list. The population is split into two groups, the western stock which covers populations found in Russia, the Bering Sea, the gulf of Alaska, and Japan. The Eastern stock is found in the regions of Southeast Alaska, British Columbia, Oregon, and California. The western stock of steller sea lions is classified as endangered mammals, due to declining numbers of population. It is thought that this could be caused due to the depletion of their food source, particularly in the winter. Make sure to visit this website for more pictures of endangered animals.